The conception of Saint Francis of Assisi Church was envisioned in 1955 when Most Reverend Joseph Hurley purchased a twenty-eight acre land-tract in Grove City, South Englewood. Twenty years later, 1975 the people of the area made their voices heard when they requested the Celebration of Mass in their locale, hoping to have their own Church in the near future. As years passed, the number of Catholics in Rotonda, Grove City, and all of Florida increased greatly, so Dioceses, Missions and Parishes were formed to accommodate the influx of Catholics into the State. In 1978 Rotonda West was titled a Mission and Saint Francis of Assisi was the name chosen by popular vote. The first Sunday Liturgy was celebrated in the Rotonda West Community Centre by Reverend Michael Cottrell, I.C., Priest in Charge. On November 9, 1978, the future Parish Boundaries were delineated by Diocesan Representatives, and November 29, 1978, Most Reverend Charles B. McLaughlin designated, Saint Francis of Assisi a Parish in its own right and he named Father Michael Cottrell as Pastor. On May 28, 1979, the decision was made to build a permanent Church of Spanish design, in Grove City. During the construction of the Church, liturgies were celebrated in the Rotonda Community Center, Lemon Bay High School, The Englewood Theater (since replaced by a florist shop), the Englewood United Methodist Church and Rotonda Lutheran Church. August 6, 1979, saw the arrival in the Parish of Sister Eileen Hurley and Sister Monica Hayes, having been invited by the Pastor. Both served as Pastoral Ministers until retiring in June 2009, later in December 2013 they moved to the retirement house of their congregation in Boston. February 3, 1980, the groundbreaking for the Church took place, and on February 22, the construction work commenced. October 21, the Certificate of Occupancy was issued and two days later, Father Cottrell celebrated the first Mass in the new Church and on October 25, the first Sunday Liturgy was celebrated. A month later, November 22, the Dedication Ceremonies were performed by Most Reverend Thomas W. Larkin, then Bishop of the Diocese. Many thanks go to the men of the Parish who laid the tiles for the Church floor and set the sod for the parking areas. Between 1981 and 1996 the following Priests served as Pastors: Reverend John Lima, R.I.P. ; Reverend Joseph Beaumont, R.I.P. ; Reverent John Rourke, presently serving in South America; Reverend Joseph Hrabovsky, R.I.P. ; and Reverend Vincent Llaria. 1983 saw the installation of the upper and lower stained glass windows in the North and South sides of the Church, and in 1986, the remainder of the stained glass windows were the priority and the old wooden pews were replaced by the present padded ones. The appointment of Most Reverend John J. Nevins as Bishop of the new Diocese of Venice was made in 1984 and July of that year, he was installed. Venice Diocese is the Diocese in which Saint Francis of Assisi Parish is located. The possibility of building a Parish Center was discussed in March 1986, and the plans for building a multi-purpose Center were formulated. May 28, 1987, the ground breaking for the building took place but it was March 1988, before construction commenced. On April 6, 1989, the Center was dedicated, and later that same year, 1989, the Church was remodeled. In1991 the Parish Council was initiated and an extension added to the parking lot. In 1996 the care of the Parish was given to the Carmelite Order, and on June 15, 1996, Father Bartholomew Larkin, O.Carm. was appointed Pastor and Father Morris Wells, O.Carm. became his Associate. In1997 the Our Lady of Mount Carmel Memorial Garden was opened. Father Morris was assigned as Pastor to Saint Raphael Parish in 2000 and in July 2000, Father Ben Hogan, O.Carm. replaced Father Morris, but in February 2001, Father Ben returned to Chicago where he died a short time later, R.I.P. In July 2001, Father Marcel Dube, O.Carm. 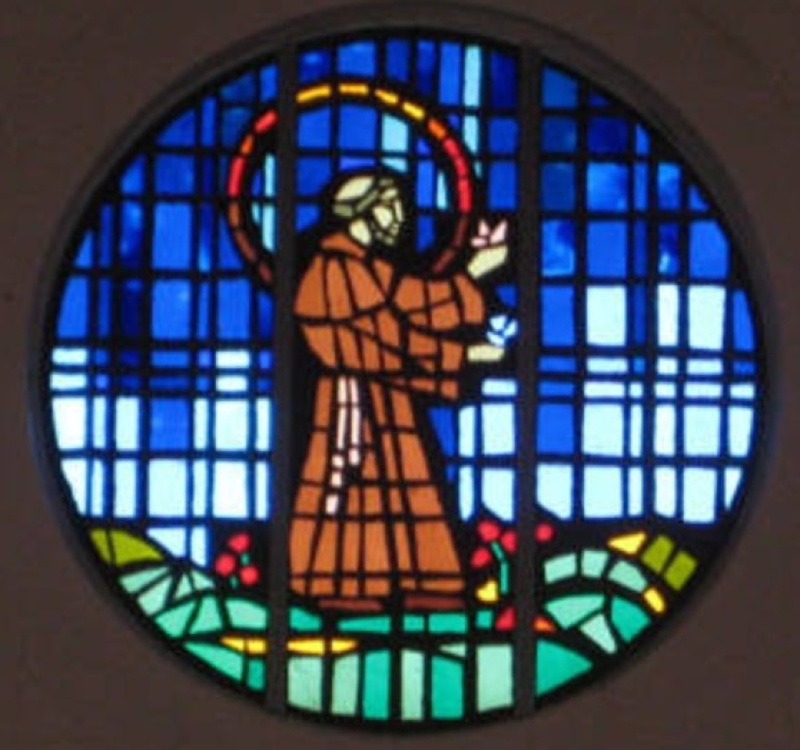 was appointed Associate Pastor to Saint Francis. In 2002, the new Rectory was added to our parish grounds. July 2008 saw the retirement of Father Bart Larkin, O.Carm. as Pastor, and in September 2008 Father Adrian Wilde, O.Carm. was appointed Pastor. He left the parish on 6th October 2014 after being given permission for a sabbatical. Father Marcel Dube, O.Carm. retired as Associate in June 2012 and moved to Nokomis, and Father Gregory Klein, O.Carm became Associate Pastor in his place. In November 2014 the Carmelite Order relinquished the pastoral care of the Parish due to Father Adrian Wilde, O.Carm. being given a sabbatical and the Order not being able to replace him. In June 2015, Father Richard York was assigned as the Pastor.